Working in construction has some great perks – one of which is being able to get out of an office and work in the sunshine. But in the hotter months of the year this stops being a perk and can actually become very dangerous. 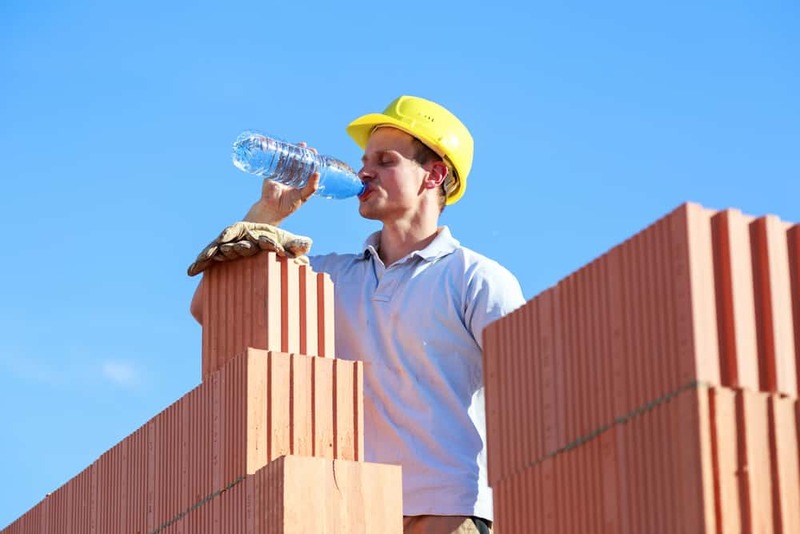 Working for long hours in extreme heat and direct sun can escalate the dangers of construction and put your team at risk of a number of health issues such as sunburn, dehydration and heatstroke. 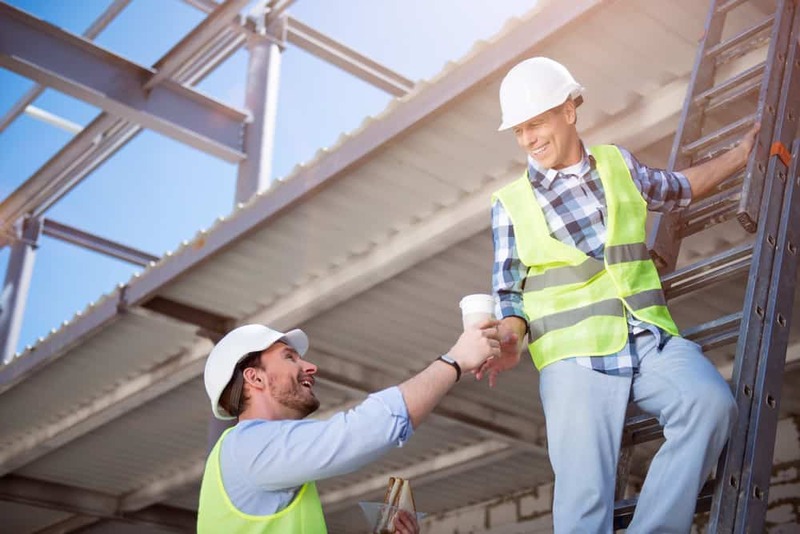 So we’ve put together a few easy to follow tips to ensure your workers’ safety is always your main priority and you can avoid any unnecessary negative effects on your your workers’ health. Working in the pacific islands, it’s hot all year round – but in the summer months it can get even worse! It’s likely that your work schedule already starts very early in the morning and finishes in the early afternoon. However, adjusting your workers’ schedules to make sure they’re not working at the hottest part of the day can literally avoid a lot of headaches. If you can’t push your schedule to start any earlier or work during the nights, see if the toughest work can be done earlier in the morning. During the hottest hours from around 12pm to 2pm, see if less strenuous work can be done to reduce the negative impacts of working in the sun. Along with an adjusted start and end time, make sure that your workers are taking enough breaks throughout the day so that they’re getting out of the sun for a few minutes every hour. TOP TIP: When taking breaks, avoid going in and out of any air-conditioning. This can prevent your body from being able to adjust and deal with the heat. I can also result in an increased risk of heat stroke and a nauseated feeling. This one sounds obvious, but it’s easily forgotten. Working out in the sun all day means that you’ll be sweating and you body won’t stay as hydrated as during the cooler months. Make sure your workings aren’t waiting until they’re thirsty to start drinking. They need to be consistently sipping at water throughout the day – every 15 minutes is ideal. TOP TIP: If you’re thirsty, don’t drink a lot of water all at once. This can make your workers feel even more sick and won’t rehydrate you any faster than if you up your water sipping. If you’re worried that you team are getting dehydrated, keep some electrolytes in your first aid kit. Using electrolytes from a pharmacy are much better for you than getting sports drinks, which are full of sugar. Working in the heat and away from direct sunlight can make a world of difference for your team. If your project is out in the sun with little shade in the area, don’t be afraid to bring your own. Setting up shaded areas for rest breaks will help your team to recover and rest much quicker than resting in the sun. But it’s also worth investigating if you can set up shade sails or canopies over the working areas. This means your team will be working in the shade and avoiding the direct sunlight. Heatstroke is a condition in which the body overheats usually from long exposure to the sun and physical exhaustion in high temperatures. Heatstroke is one of the biggest risks of working in the summer sun when untreated can lead to damage of the kidneys, heart, brain and muscles. There are a number of symptoms of heatstroke starting with a headache, flushed skin and a high body temperature. More serious symptoms are nausea and vomiting, rapid breathing, racing heart rate and an altered mental state and behaviour such as confusion, agitation and delirium. If you think someone on your team may have or be developing heatstroke, get them out of the sun immediately and into air-conditioning or a cool bath or shower. Anyone who’s experiencing signs of heatstroke won’t be able to finish up the day as normal and should go home, or to the hospital immediately. Depending on the severity of the heatstroke, your worker may need up to a few days off to fully recover before being able to work again. We’ve already covered staying hydrated, but the types of drinks that your team are consuming can help or hinder hydration. Avoid sugary and caffeinated drinks. These will act as a diuretic and prevent the body from absorbing water. This means that you can be drinking a lot, but not getting the benefits you need from the water – even if your team are drinking both! Additionally, eating heavier meals that are high in saturated fats and salts. Heavier foods can make your team lethargic and reduce their energy levels. You want your team to be finding their work as easy as possible in extreme conditions so encourage them to eat lighter, healthier meals with fresh fruits and vegetables and limited processed foods. Working in the heat during long summer days can be dangerous – but it doesn’t have to be if you prepare for the hot weather and make the right decisions for you team.